A nostalgic ramble through classic children’s literature, from fairy tales to The Very Hungry Caterpillar, exploring the tales themselves and the backstories of their creators. Wild Things doesn’t have much of an argument to make other than its premise that we should take children’s literature seriously, which I think many people already do, and yet the book succeeds wonderfully, not so much as an argument but as an eccentric essay, and an emanation of spirit ... But as a consistently intelligent and funny companion, Handy offers considerably more than charismatic trivia ... The Handy children’s appearances are brief but disproportionately memorable. Just as almost all kids’ books, with their frequent appearances by talking animals, are part emotional masquerade, Wild Things, too, is in disguise. It reads as a companionable romp through all the stories you sometimes tire of reading to your own children. But like The Runaway Bunny, it’s really a gently obsessive tale, a man gathering up so many words and ideas as if to create a magical stay against his own children growing up. ...a charming, discursive encounter with classic children’s literature from the perspective of a parent ... For parents who are embarking on this phase of rediscovery, for those in the thick of it, and for those for whom it is a warm and recent memory, Wild Things will be a delightful excursion. Mr. Handy writes with zip, sincerity and good humor. He has a gift for witty phrasing ... engaging and full of genuine feeling. Handy does not offer a kind of string theory for the universe of children’s classics, trying to reconcile competing visions of what motivated their authors or what makes kids respond to them. If you ever wondered, for example, why a surprising number of children’s authors are childless, do not look for theories here. Instead, Wild Things is relaxed, discursive and personal, a survey course centering on the writers to whom Handy especially responds ... The result is very pleasing to read, when it isn’t frustratingly glib, which I regret to report is too often. Why the members of Handy’s brain trust didn’t tell him to cut out the excessive antics, I have no clue ... Handy quotes liberally from each book he admires, and he curates those passages beautifully, allowing readers both literary pleasure and a kind of time travel. His analyses are affectionate and often eccentric. He’s got a magpie’s eye for odd and shiny details ... One of Handy’s strengths is that his brain tends toward unlikely analogies. But as the book goes on, these analogies increasingly become a tiresome nervous tic. After making a series of clever observations, Handy can’t resist capping them with a silly hat. 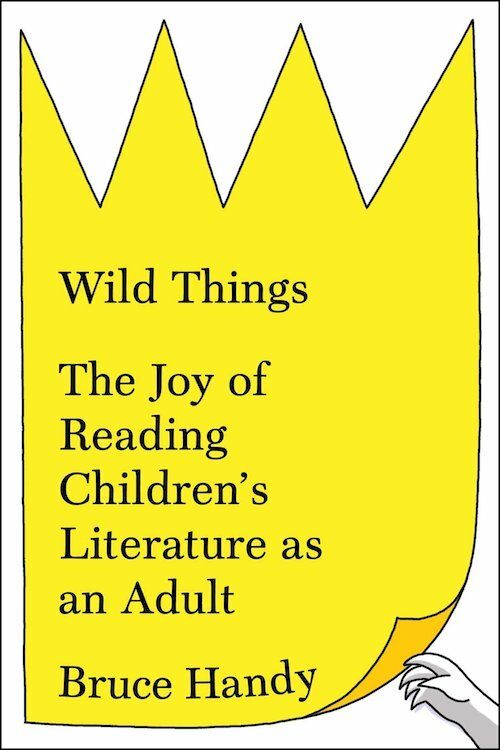 What did you think of Wild Things: The Joy of Reading Children’s Literature as an Adult?